Sugarcane Crusher Machines It uses 3 rollers to extract juice from the sugarcane. Rollers are adjustable. It is a compact machine and easy portable. It uses single phase motor. The rollers and body parts are made up of stainless steel to prevent corrosion. It is designed in such a way that it will extract 80 % of the juice from the cane within a sin It has an inbuilt filter to filter the dust from the cane juice. It has made easy to clean the teeth of the crusher. The arrangement of the frame made it as a mobile as well as stable crusher. FEATURES: •	H.P single phase motor •	1440 RPM56 •	It has the ratio of 30:1. •	Made up of cast iron body. •	Coupled with motor by means of chain sprocket. •	Guarantee available. •	Sheet thickness can be varied. •	Weight of each pieces were identical. semi automatic chappathi machine gives immunse pleasure in bringing glee on our clients. 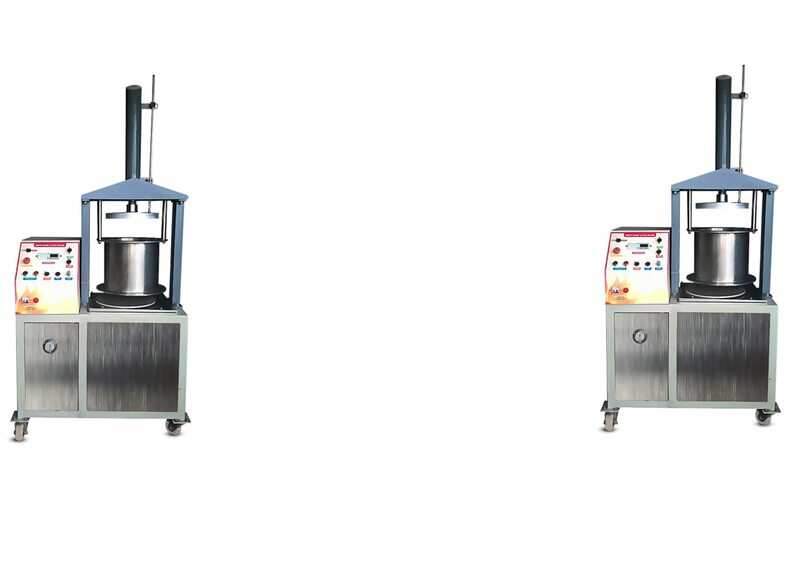 we offer wide range of chapathi maker machine at a best quality and price.